Advanced levitation: The Liebster Award - 11 question tag. Ihana ystäväni Scarlet Avenue Excentriquesta antoi minulle tunnustuksen. Seuraava teksti tulee olemaan suurimmalta osaltaan englanniksi sillä kyseisen tunnustuksen antaja ei ymmärrä hölkäsen pöläystä siitä mitä suomeksi kirjoitan. My dear friend Scarlet from Avenue Excentrique gave me this award. I'll be blogging this mostly in english as she does not understand finnish. 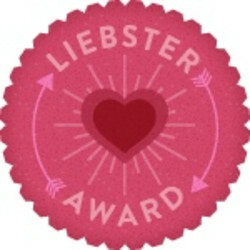 "Liebster Award is an award given for upcoming bloggers who have less than 200 followers. The word Liebster is German and means sweetest, beloved, valued and welcome." Hmm, this is really a hard one. At this point I'm studying horses to become a stable hand (or groom, whatever floats your boat) but I think my dream profession would be something like owning a farm of some sort. 2. Who is your favorite villain in comics? I definitely like Joker and Riddler from Batman. I don't really have a specific style. I wear whatever comes to my mind and what I find the most comfortable at the moment. At school I need to wear clothes that fit well and are easy to keep clean. 4. Do you prefer windows or Macintosh? I've got a MAC and I've had normal PC with windows. But I think I prefer MAC. As it's easier with my iPhone. I think I would stay right here where I am just now :D I feel good here. Or maybe I would go to Japan. I really don't know. 6. which is your favorite Disney film? I have many favorites but I would say it's Robin Hood or Emperors New Groove (in finnish though as it's hilarious compared to english version). 9. What is your favorite TV show/series? Salatut Elämät, wich is a finnish drama/comedy series that has been on air for like 10 years. I also dig all kinds of reality-tv series from TLC. And I looove Disney Channel. I adore Phineas&Ferb. 10. Which is your favorite season? I love autumn. It's just my kind of season with all the colors and fresh air. Not too hot or cold. 11. Which is your favorite drink? Cherry DR. Pepper with ice. I won't be tagging anyone at this point as I know a lot of you have received this award already. But I'll be making up some questions so if you would like to do this, go ahead! Questions will be in finnish, sorry! En siis tägää tähän ketään erikseen koska suurin osa on tämän jo saanut aiemmin. Mutta keksin kuitenkin kysymykset joten jos joku haluaa näihin vastailla niin olkaa hyvät :) laittakaa kommentilla sitten linkki blogipostaukseenne niin tulen lukemaan. 2. Mitä tuotetta ilman et voisi elää? 4. Jos saisit valita vain yhden kosmetiikka-/kynsilakkamerkin jota käyttää loppuelämäsi, mikä se olisi? 10. Oletko järjestelmällinen vai hallitseeko kaaos elämääsi? 11. Kuka näyttää kaapin paikan?